The Georgia-Charleston Southern game on Nov. 22 and the Georgia-Georgia Tech game on Nov. 29 will both be televised by the SEC Network, the SEC announced today. These two games will be the fifth and sixth times that the Bulldogs have played at noon this season. 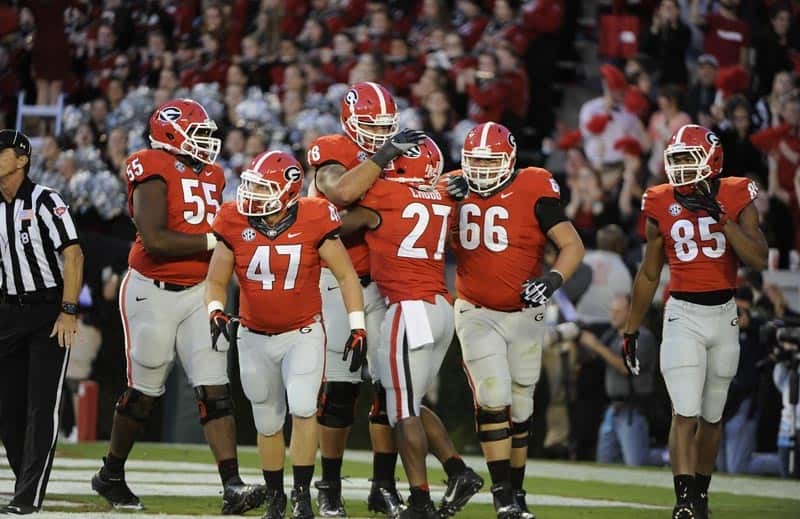 Other noon games for UGA included Troy, Tennessee, Missouri, and Kentucky. Georgia has played on the SEC Network ESPN three times this season (vs. Troy, vs. Vanderbilt, and at Arkansas) and won each contest. The Bulldogs take on Auburn this weekend, which is their first game in Athens since Oct. 4 against Vanderbilt. Listed below is the full SEC TV schedule for the week of Nov. 22 and Nov. 29.